The Babybelly groin support belt provides compression to the vulvar area. This support helps to alleviate the symptoms of vulvar varicosities and prolapse. Also suitable for supporting a hernia. We recommend the Baby Belly groin support belt for women suffering from hernia, prolapse, or vulvar varicosities. It will also assist women suffering SPD (Symphysis Pubis Dysfunction), PGP (Pelvic Girdle Pain). 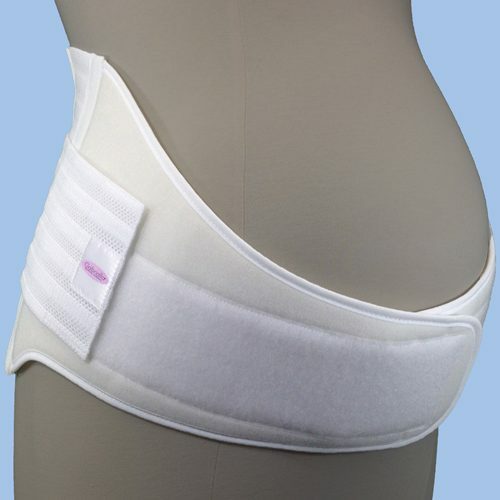 Women with moderate lower back pain can wear this belt higher up over their lower back. Women suffering vulvar varicosities, inguinal hernia, or prolapse can add the groin straps to this belt to support the groin and vulvar area. This product is simply the Baby Belly Abdominal band and the groin bands in the one package. You will find this product useful if you find relief by placing your hand between your legs and supporting the groin/vulvar area. Due to the increased blood volume in a pregnant woman’s body, and the pressure this places on the veins, it is not uncommon for women to develop vulvar varicosities. These are varicose veins that occur in the vulvar area. By wearing the Babybelly groin support belt, you can provide support to the vulvar area which helps to alleviate the symptoms associated with vulvar varicosities. These symptoms include a feeling of heaviness, swelling and discomfort in the vulvar area. 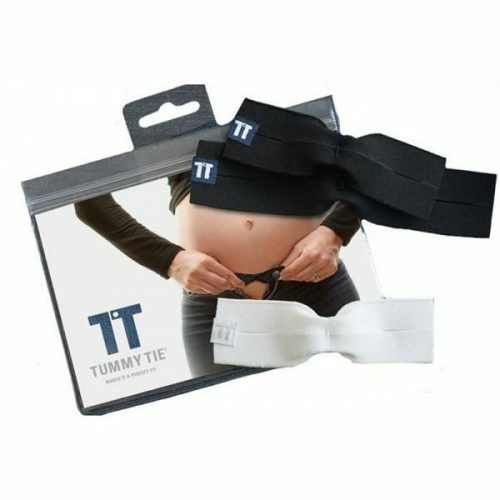 Due to the unique design of the Babybelly band, you can wear the abdominal band higher to provide lower back support, or lower, as a hip stabiliser, while also supporting your groin area with the detachable and adjustable groin bands. Made of a soft neoprene type fabric, this product is soft, flexible, comfortable, and discreet for all day wear. Also included with your Babybelly Ab Band is a Velcro Attachable ‘Belly Booster’ which you can Add-On to your abdominal band for extra lift and support. Great postpartum for hip support, hip separation or sciatica from carrying the new babe. 1. Velcro the abdominal band around your hips (for hip support), or around and under your belly (for lower back support). 2. Attach each groin band at the front of the abdominal band (using the velcro tabs), then pass under your groin, cross over each band, and attach to the back of the abdominal band (again using the velcro tabs). 3. You can adjust the amount of pressure offered by the groin bands by how high or low you velcro them to the abdominal band. You may also be interested in the V2 Supporter or Hip V2 which also aid in supporting vulvar varicosities. There is some stretch in the Baby belly band products, so if you measure borderline of sizing, please select the smaller size. If you are in your second or third trimester, do not be tempted to choose the larger size to ‘grow into’, as it will not offer the correct support. 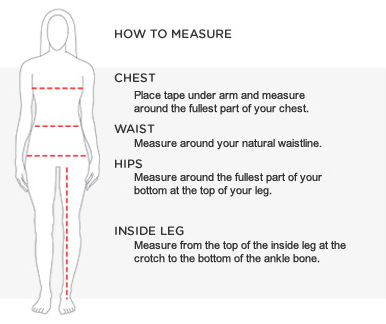 Please measure around your hips and select your size from the table below. If you are unsure what size to select, please contact us. Please note: The Babybellyband now comes with some velcro attached side pulls (as seen in the product images) which increase the level of support offered by the product.